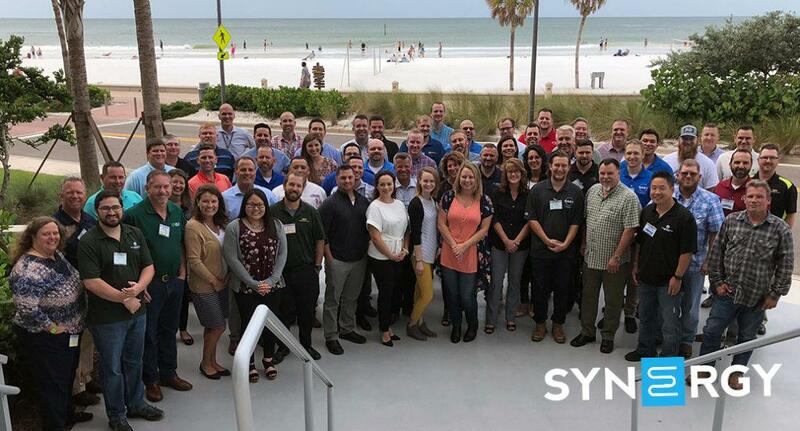 Fifty seven Synergy members from twenty nine companies travelled to Clearwater Beach, FL for Synergy’s 2018 Leadership Forum held Oct 7-11th. 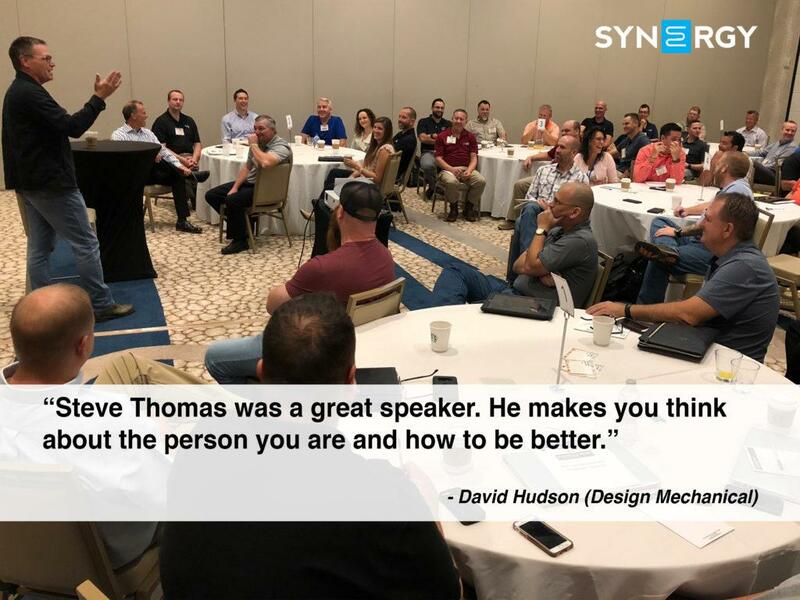 This year’s session included a half day with guest speaker Steve Thomas, small group discussions facilitated by 12 mentors, and team building activities. Steve helped us dig into how to create a Safe Culture, both emotionally and psychologically, where people feel like they belong. Steve shared that a safe workplace is a mistake-friendly environment where team members communicate openly and are able to be vulnerable with each other. “The need to belong can be stronger than physiological needs,” Steve explained. “People don’t stay where they don’t feel a sense of belonging.” Steve shared his 9 positive marks of a safe culture which included things like being a follow-able leader, creating a visible and felt support system where people feel appreciated, and avoiding language that dehumanizes people (like “subordinate” or “supervisor”). During the meeting attendees spent the majority of their time with a small group of peers and a mentor (or in some cases two mentors) to work through the results of a 360 peer feedback survey. 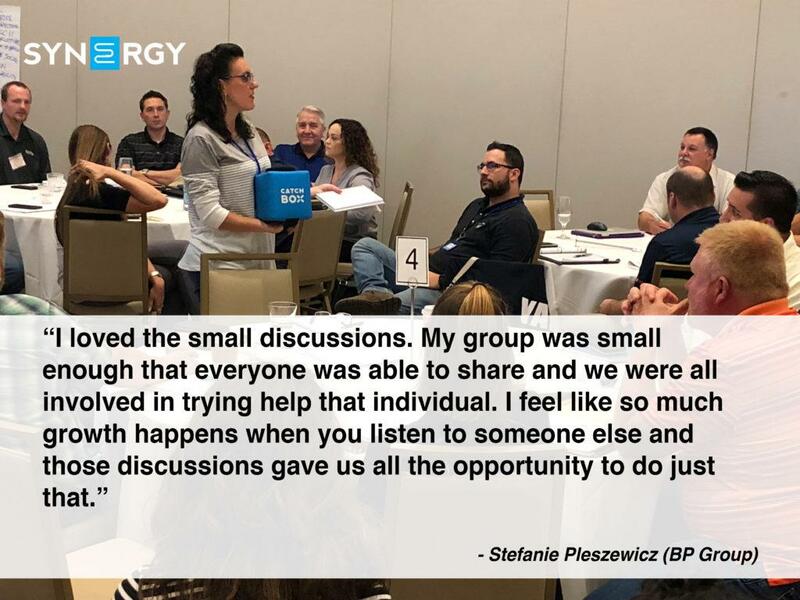 Each attendee was able to read through their results and then discuss what they agreed with, what took them by surprise, and things they need help understanding. 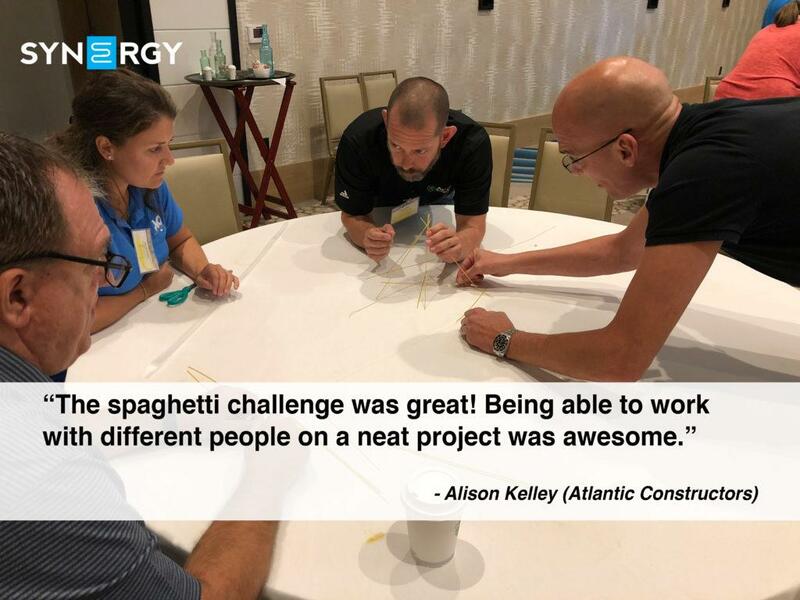 In addition to the small group discussions, the Leadership Forum attendees were able to have some fun and put some leadership skills to work during two team building activities. During the first activity attendees were split into groups based off results from a color personality assessment (all the golds in one group, all the greens in one group, and so on) and were tasked with putting together the tallest structure they could that would support a marshmallow on top using only spaghetti noodles, a yard of tape, and a yard of string. The second activity involved a group of attendees receiving pictures from a picture book. They were tasked with putting each picture in the correct sequence, but they were only allowed to look at their own images and verbally describe what they saw on their picture to the rest of their group.